Admit it, once you have made that decision you want to get started building a new home you do not want any delays. You want to get started right now. You want building design services which give you a quote fast and construction drawings quick. Before you get moving too fast let us take a look at a few other items which will speed up your construction project. 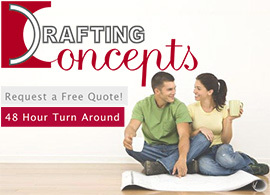 The first thing you want is to get a quote for your construction drawings. You can get a quote within 48 hours from many firms including one which is going to attempt to slow you down for just a few moments. Drafting Concepts in Sunshine Coast and Brisbane Queensland will get you a quote within 48 hours, but they want to capture your attention for a few minutes first. They want you to come in for a free consultation so they can really understand your needs, not just speculate on them. The reason they request the consultation is not just about getting an initial feel for your project. It is about speeding up your entire construction process. How is a simple consultation going to do that? The reason you want the consultation is to get things done faster. When the team at Drafting Concepts knows your real desires and ideas they can move from quote to creation faster. They will be creating plans which mesh with your hopes, dreams, and passions and getting it right the first time. Information gathered in the consultation allows everyone to more faster and more precisely. It is not just this phase of the process which speeds up, though. You would be appalled to learn how often construction workers are stuck on the job not knowing the next step. The crew chief is in the office on the phone trying to figure out some little detail on the plans before they move forward. It is frustrating for them, and costly for you. Daryl Woods of Drafting Concepts believes that precise plans which are based upon a client’s vision streamline the entire process. When the plans are properly drawn and the vision communicated clearly to the construction company delays are less likely. Things move forward fast. The team at Drafting Concepts makes sure the construction team knows they are available for questions and help keep your project moving forward. This simple focus on quality and precision can often cut days or weeks off of a build. Envision your disgust if you take your rapidly produced plans to the permit department in the council offices and get denied. It could be a very small mistake on the drawings which created the problem, but you will not care. Your project just hit the first delay. Drafting Concepts has been working with local permit officials and has earned their respect. Their precise plans and focus on meeting local regulations means their plans normally fly through the approval process. When those rare problems do occur they fix them fast. You can even turn the dirty work of getting the building permits over to the team at Drafting Concepts. 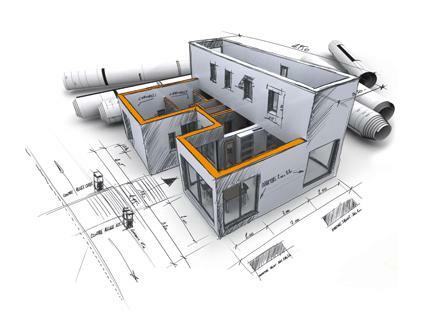 The fastest way to get started on your new home is to have a free consultation with Drafting Concepts. You can get a quote in 48 hours. You can have plans in less than two weeks. Most importantly, you know the plans will be right and will not cause delays in the future. 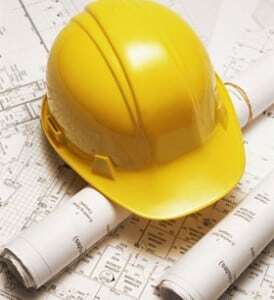 Your construction project is on the fast path to successful completion and avoids never ending frustration and delays.